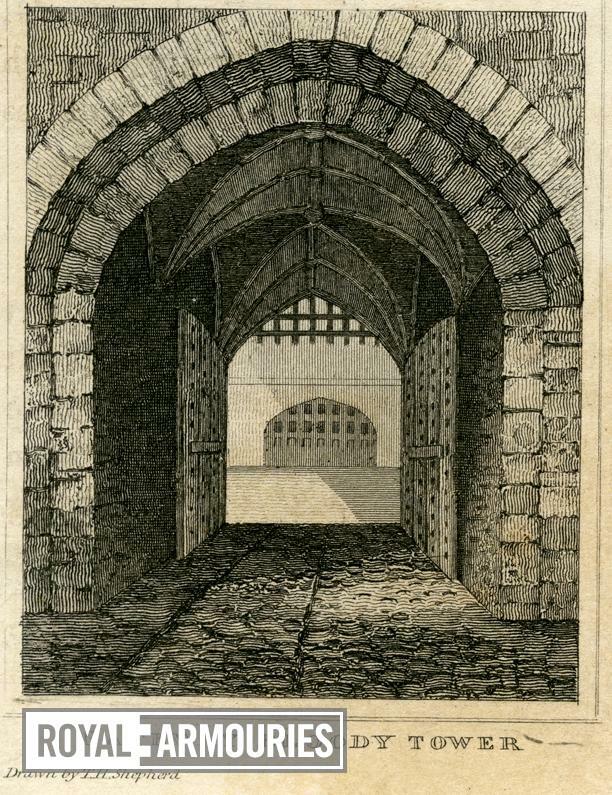 Engraving of the Gateway of the Bloody Tower from the south, signed T.H. Shepherd. See also TOL PED/TOWER/344 (formerly I.344) for another version still attached to a general view of the Tower from the river etc. 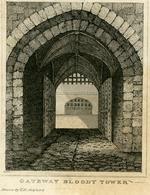 Extracted from F. Partington, 'National History & Views of London', (London, 1832).